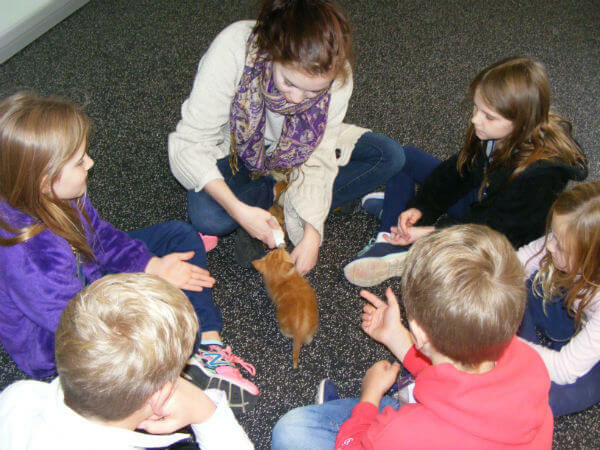 As a local resource, the Animal Welfare Society’s work extends well into our community. We collaborate with a number of local and national organizations to provide humane education, outreach, and cooperative solutions to save the lives of animals in need. We provide financial resources for spay/neuter surgeries. We provide educational programs for schools, groups, and businesses. We partner with the Maine State Prison to help dogs and inmates. We provide a safe haven for pets from homes where there is violence. We help shelters throughout the country find loving homes for pets.